Bench refrigerated centrifuges are an adaptation of bench centrifuges that have been equipped with refrigeration systems. Typical refrigeration systems can cool the centrifuge chamber down to -20°C. It is possible for laboratory refrigerated bench centrifuges to cool at lower temperatures ranging from -22-100°C. Rotors, rpm speeds, and capacity's of samples vary between the size of the motors. HiTechTrader offers fixed-angle, and swinging bucket centrifuges. Many are general purpose, and include clinical, superspeed, and ultracentrifuges. We also have many different rotors and rotor inserts available. 1. Determine the number and volume of samples you will need for your process. 2. Determine Rotor Speed (RPMs) necessary. 3. 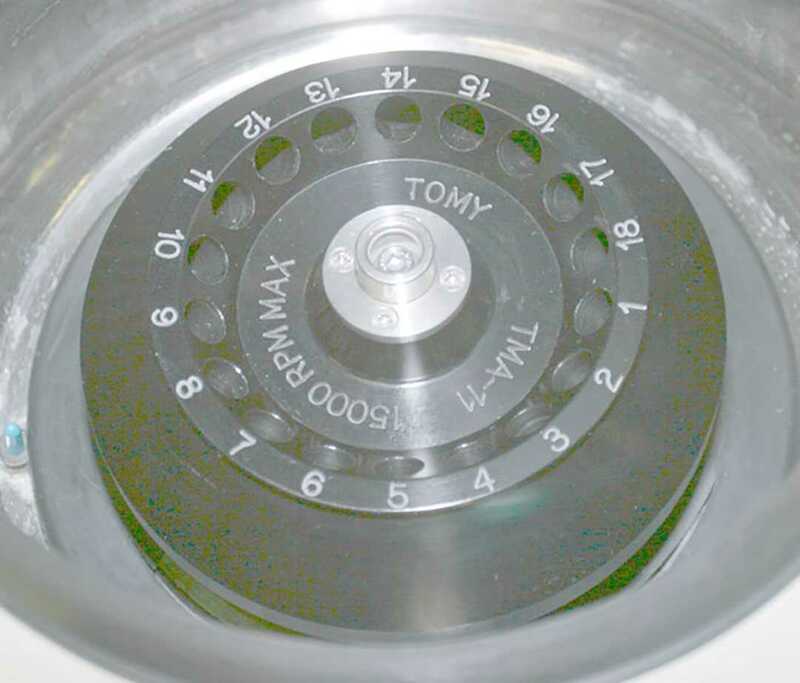 Finally, choose a centrifuge that accommodates the first two steps. Popular manufacturers are Sorvall, Thermo, Eppendorf, Beckman, and Heraeus.